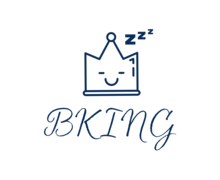 How To Create a King Logo? As we've already mentioned, you can only use the image of a king on permission. While few brands are granted such a privilege, others have to search for other ways to express their personality. For the most part, businesses use the image of a mature, good-looking man wearing a crown. This is the common choice of barbershops, men’s beauty salons, and manufacturers of men’s grooming products and sports accessories.Here’s a curious observation. Companies that choose royalty-themed logos, work hard to maintain their flawless reputations and top quality of their goods and services. In this sense, brand identity disciplines a company, motivating it to remain at the top of its game. Instead of a king, many businesses use a crown as the central element of their visual image. For example, the attention-grabbing Rolex crown is an example of exceptional branding. Like the Swiss watch brand, don’t be afraid to combine a crown with other accessories that stand for royalty. Can’t decide which font to choose? Explore hand-written, refined typography solutions.You must’ve seen a logo used by the Swedish car manufacturer SAAB. Lions, the king of animals, looks like a great design solution! Be careful with colors. Consider using dark red, black, white, and gold. Profound and expressive, these shades communicate power and elegance at the same time. 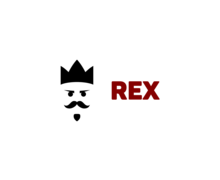 How do I create a king logo for my brand?